The tragic love story of Romeo and Juliet started at a masquerade ball, and in fact, these iconic parties have been a huge part of romantic storylines and memorable parties for centuries. If you want a masquerade ball, our event staging professionals can make that happen. We start with your vision and we work to turn that into a reality that will enchant and impress your guests. For masquerade parties, we pull together a custom blend of lighting, props, and other elements to transform the venue into something special. While every party is completely unique and tailored to the needs of our clients, some of the elements we have used in the past include festive lights to set the mysterious mood, stars projected on the walls, firework inspired centerpieces, and larger than life masquerade masks. To gather inspiration for their event staging ideas, some clients like to dip into films with famous masquerade scenes. Historically, masquerade parties were part of the carnival season in the 15th century. That was the party season leading up to the austere times of Lent. As a result, many historical films set between the 15th and 19th centuries contain masquerades. That includes the Phantom of the Opera, Sweeney Todd, and the Man in the Iron Mask, but there are also masquerade balls in films with contemporary settings such as The Dark Knight Rises. When you use event staging to turn a regular ballroom into a masquerade, guests come in masks. They can wear the classic sequined masks associated with Mardi Gras, or they can come in full costume. When you're planning a ball, it's your event, and you call the shots. Masks made it possible for the young lovers Romeo and Juliet to meet and talk, in spite of the fact that their families had been warring for years, and they can also efface differences between your guests. Standing behind a mask or wearing a costume wipes away the social differences between different groups of people. It instantly creates an atmosphere where people are more likely to mingle, interact, and let loose. This type of event often doesn't have the social anxiety or awkwardness that can be associated with some other events. At contemporary masquerades, you can often tell who's lurking behind the mask, but you can ask your guests to make it a little bit harder. When masquerades were becoming popular in early America, guests often dressed in a way that completely hid their real identities. This made guessing who everyone was into a game, which was delightful for many of the guests. Whether you want a masquerade ball or any other type of special event, let us plan it for you.  At Track Seven Events, we have been doing event staging and planning for years. We work closely with our clients to make their ideas come to life.